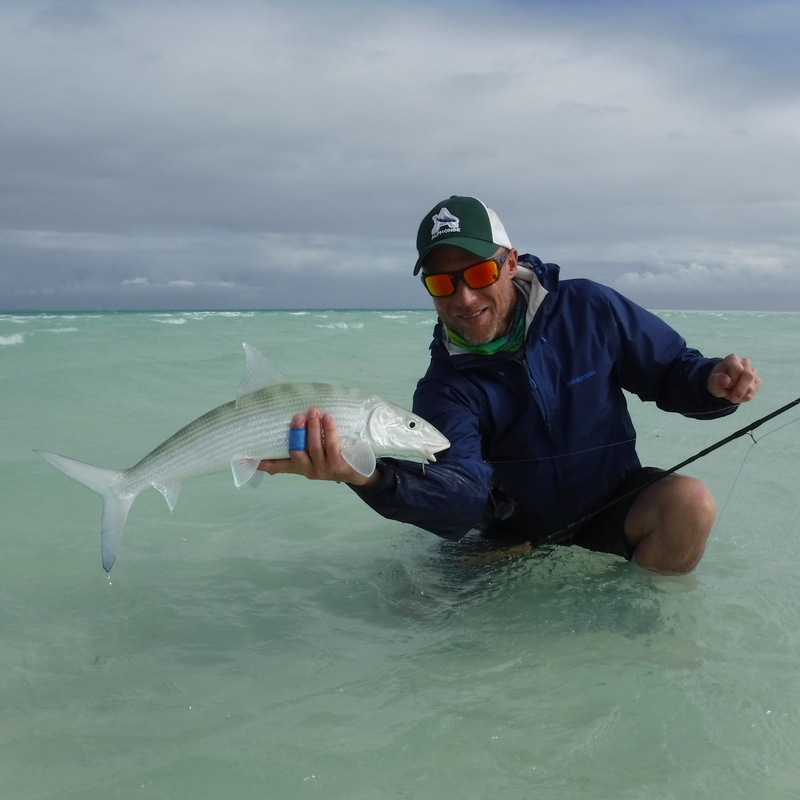 Anglers were met with extreme conditions this week at Alphonse Island as the waxing to full moon coalesced the spring tides. Most mornings started dismally as the strong north winds, black clouds and rain squalls collided with the atoll, however miraculously those conditions calmed during fishing hours giving way to sunshine and a distant view of the storm. 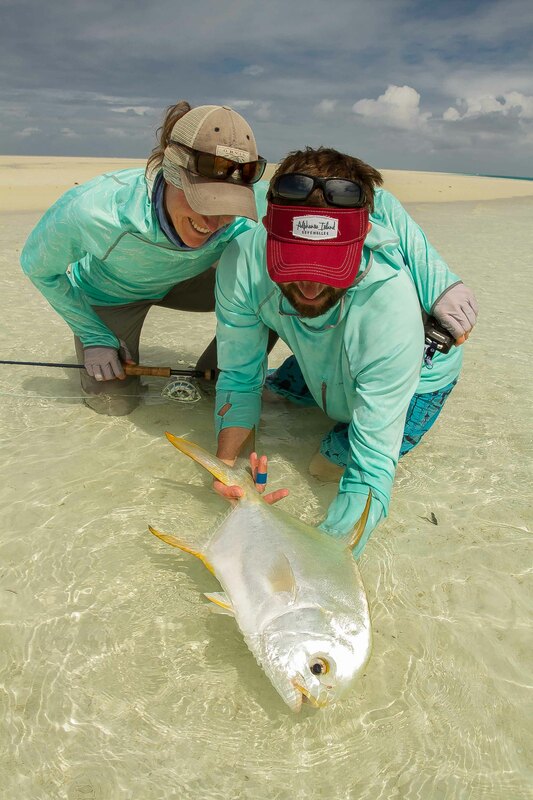 Honeymoon couple Joe and Jen Seeling from Alaska had a very special week landing a variety of species and acquiring their target. 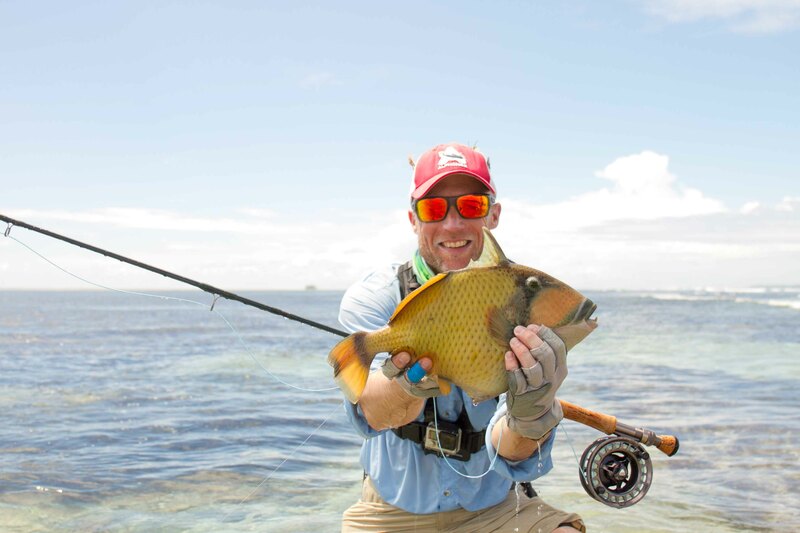 A 61cm Indo-Pacific Permit after a two-hour pursuit and many fly changes. The notably fast and strong tides accounted for the best bonefishing in weeks with many sizeable fish being landed. 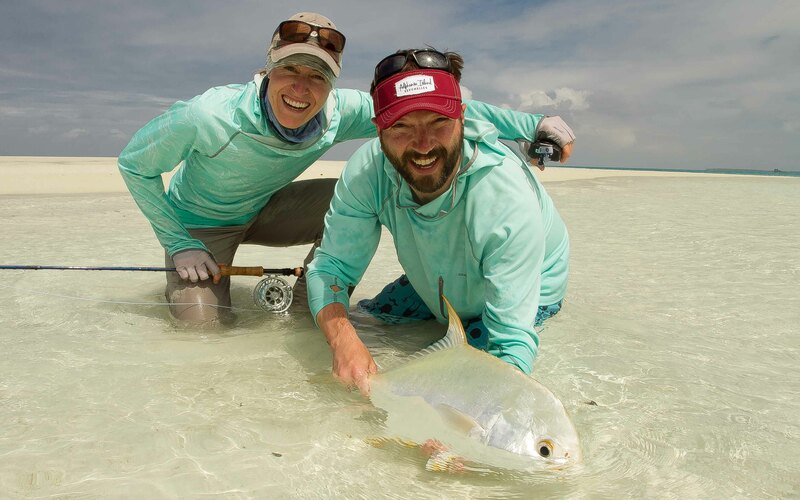 Willem Fourie from South Africa landed a 60cm Bonefish and Jen brought what was estimated at 70+ cm to the leader where it slipped away untouched. 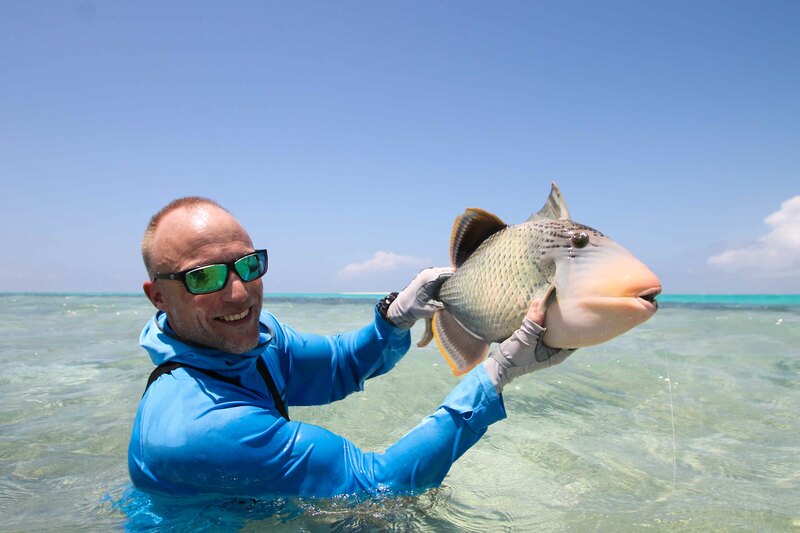 Anders Nissen, who managed both a Yellow margin and a Moustache triggerfish after much hard work, covering the finger flats properly this week. Gene Burrus also put forth the effort and missioned to bring a Yellow margin to the net on the last day of the week. 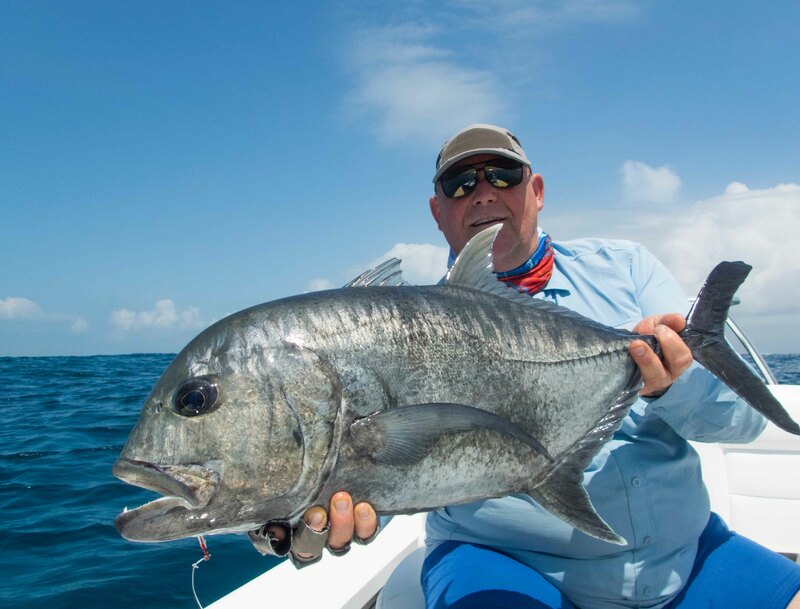 The trevally species were mainly found outside the surf this week with three being landed, the best GT by Nigel Greatix at 79cm by Lollypop’s wreck. Bluefin were abundant with quite a few large fish caught, one of which came in at 65cm by Willem. A few rare species were caught this week consisting of a 7lb Dog Snapper by Joe and also a Green Jobfish by Ricky Dippenaar of near equal size. Only one angler, Nigel ventured into the blue water this week and brought two Yellowfin Tuna to the boat. Congratulations to all anglers and cheers to your tenacity and persistence this week.